Michael Anthony Harkey (born October 25, 1966) is a former Major League starting pitcher. Harkey pitched from 1988 through 1997 for the Chicago Cubs, Colorado Rockies, Oakland Athletics, the then California Angels (now Los Angeles Angels of Anaheim), and Los Angeles Dodgers . Mike Harkey was a part of the Florida Marlins coaching staff in 2006. Then “Hark” joined the New York Yankees from 2008 through 2013, before joining the Arizona Diamondbacks. Harkey coached in 2014 and 2015. This was before coming back to the New York Yankees prior to the 2016 season. 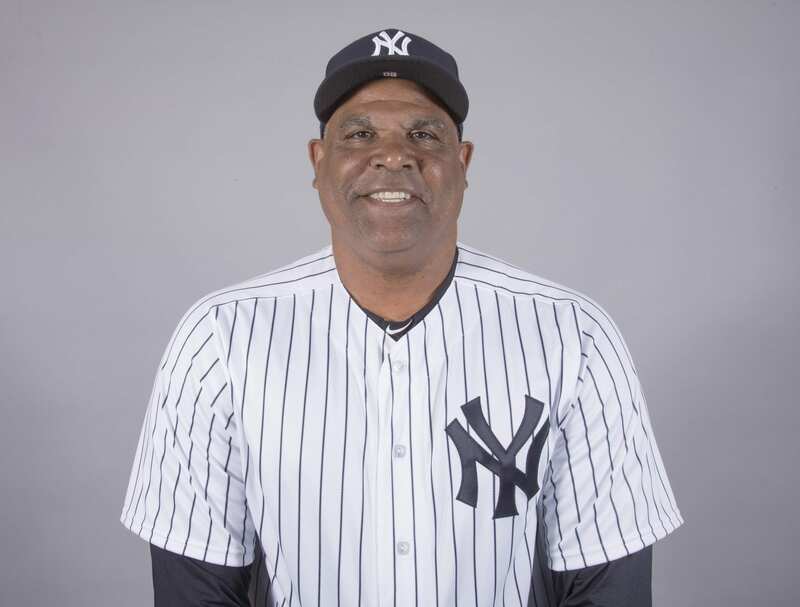 When new Yankee Manager Aaron Boone was brought aboard in December, Boone said one of his first calls was to Mike Harkey asking if he would stay aboard as the bullpen coach and Hark agreed. Bullpen Coach ? What Does He Do ? A good bullpen coach is an extension of not just the pitching coach but of also the manager. They can provide useful details that can be make or break during a game and throughout the season. When players trust that their coaches have the team along with their best interest at heart and in mind they will play better. And Harkey is a guy that this pitching staff trust.